Portsmouth Rep. Dennis Canario’s legislation (H8082) that requires school bus drivers’ annual training include the National Highway Traffic Safety Administration’s school bus driver in-service training series was passed by the House of Representatives tonight, according to a state house news release. The legislation now heads to the Senate for consideration. The series includes training on driver attitude; student management; highway and rail grade crossing safety; vehicle training; knowing your route; loading and unloading; driving under adverse weather conditions; emergency evacuation; and transporting students with special needs. If the legislation becomes law, school bus drivers would need to receive the training annually. 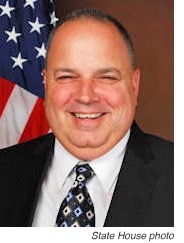 Portsmouth Rep. Dennis Canario has co-sponsored legislation (H8189) sponsored by House Speaker Nick Mattiello (D-15, Cranston) to broaden the powers of the state’s Ethics Commission by eliminating legislative immunity from Ethics Commission oversight through a constitutional amendment. If passed by the House Committee on Judiciary and the House of Representatives, the proposal would place a referendum on the November ballot to remove legislative immunity from the state’s constitution. The proposal also includes additional changes to the Ethics Commission and Ethics Code. The legislation requires two-thirds of the commission members to change any rule or regulation of the commission. Individuals will also be prohibited from filing a complaint with the commission once the filing period begins for a given election in order to prevent frivolous complaints and the politicization of the Ethics Commission. The Ethics Commission legislation is the latest of several reforms calling for more transparency at the legislature. Last year, the House of Representatives approved sweeping campaign finance reforms to increase disclosure of campaign account activity. Candidates and office holders are now required to file annual bank statements, maintain separate campaign accounts, and appoint a treasurer if annual account activity exceeds $10,000. In 2014, the House of Representatives unanimously approved the removal of the “master lever,” which abolished the practice of one-line straight-party voting. “The taxpayers of this state deserve nothing less than total accountability and transparency within their government and elected officials. The recent reforms passed by the House are a clear statement that we as legislators serve the people of Rhode Island and not the agendas of special interests,” added Canario. "This bill does nothing other than to seek to turn the law-abiding citizen who owns firearms into a criminal. First of all, when legislators take their oath of office, they take an oath to uphold the Constitution. If anything, what we really need is to criminalize those who seek to infringe on the Second Amendment rights guaranteed to individuals both by the US and Rhode Island Constitution, in my opinion. Perhaps it is time to demand that legislators who propose this type of legislation that would defy the Constitution, perhaps we should ask them to forfeit their seat instead." Transcribed from Capitol TV: Visit the House Judiciary category, click on "House Committee on Judiciary 3-22-16 Part 2" (thumbnail is a guy with a yellow tie). Relevant clip is at 24:39. Or, in the clip below, scroll to 2:49. Thanks to Steve Ahlquist for the video capture! It's one thing to pack the state house to try to kill bills in committee. It's quite another thing, in my opinion, for a legislator to suggest that those who propose common-sense gun safety measures lose their seat and become subject to criminal penalties. Of course, this is just my opinion. Full disclosure: I attended as much of last night's hearing as I could stay awake for as a supporter of the several gun safety bills on the agenda. I have also donated to Rep. Regunberg's campaign precisely because he proposes this kind of legislation. He is not, in my opinion, a criminal. 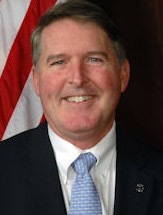 House Majority Whip Jay Edwards (D-70, Tiverton, Portsmouth) has introduced legislation that would increase the accountability of the campaign finance law by clarifying language. The bill will be taken up by the House Judiciary Committee on Wednesday. The bill, which is cosponsored by Representatives Dennis Canario (D-71, Portsmouth, Tiverton, Little Compton), Mary Duffy Messier (D-62, Pawtucket), Joy Hearn (D-66, Barrington, East Providence) and Minority Leader Brian C. Newberry (R-48, North Smithfield, Burrillville), will be heard by the House Judiciary Committee on Wednesday, Jan. 27, at the rise of the House (about 4:30 p.m.) in Room 205 on the second floor of the State House. Editorial note: Written from a general assembly news release. 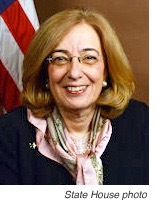 Former Democratic state rep Linda Finn announced in a statement to local media today that she is running for State Representative in House District 72, including Middletown and Portsmouth, setting up a rematch against Republican State Rep. Dan Reilly. 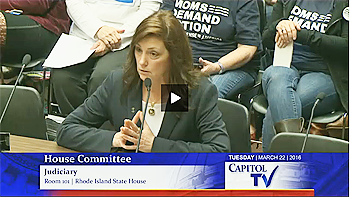 After the 2014 election, Linda Finn continued her advocacy as Vice President of the Rhode Island Coalition Against Gun Violence, leading statewide efforts to pass common sense gun reform. 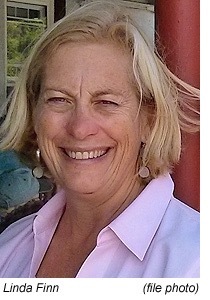 She has also engaged in many local efforts to build the community of Aquidneck Island, from serving on the board of the Aquidneck Island Planning Commission to working as Board Chair of Baby Steps, an early education program for parents and young children. She was past President of the Women’s Resource Center of Newport and Bristol Counties, and a Troop Leader and Service Unit Manager for Girl Scouts of Rhode Island for 9 years. For more information about the campaign or how to get involved visit ElectLindaFinn.com. Editorial note: Written with exuberant gusto from a press release. House Majority Whip John G. Edwards (D-70, Tiverton, Portsmouth) will be attending the 2016 Legislative Agriculture Chairs Summit in Denver the weekend of January 9. The summit, sponsored by State Agriculture and Rural Leaders, is designed for legislative leaders with an interest in agriculture and rural policy. The Summit is by invitation only and brings together state and provincial legislators that are passionate about rural communities and the people, the agriculture and the natural resources that fuel those communities. Since 2001, the LAC Summit has been providing a non-partisan educational opportunity for elected state and provincial officials with an interest in agriculture and rural communities to work together, collaborate and create problem-solving partnerships. In addition to meeting other legislators and hearing from the experts, Representative Edwards will have an opportunity to make site visits to get a glimpse of agricultural endeavors in Colorado. These site visits include a tour of marijuana production and processing facilities, which will give Representative Edwards an opportunity to see firsthand how marijuana production has had an impact on the economy and tax base of Colorado as well as the state’s culture. Gov. Gina Raimondo has signed legislation introduced by House Majority Whip Jay Edwards (D-70 Portsmouth) that creates an exemption from taxation for certain residential property developments that are being built on speculation, according to a state house news release. Under the legislation (H5044), new construction on development property would be exempt from the assessment of taxes as long as the owner files an affidavit claiming the exemption with the local tax assessor at the start of the project. The assessor would then determine if the property on which the new construction is located is development property. If the real property is development property, the assessor would exempt the new construction from the collection of taxes on improvements, until such time as the real property no longer qualifies as development property. The law defines development property as “real property on which a single family residential dwelling or residential condominium is situated and said single family residential dwelling or residential condominium unit is not occupied, has never been occupied, is not under contract, and is on the market for sale.” It also includes improvements and/or rehabilitation of unoccupied single family residential dwellings or residential condominiums which the owner purchased out of a foreclosure sale, auction, or from a bank. The legislation received the support of the Rhode Island Builders Association. In testimony presented to the House Committee on Municipal Government when the bill was heard, the RIBA cited an industry study, showing that a healthy construction industry would create $404 million in addition income for Rhode Island households, would generate $60.2 million in additional tax revenue for the state, could create more than 9,000 new jobs (thereby reducing the unemployment rate by two percent).